Liz works with a variety of businesses to prepare and submit nonimmigrant visa petitions in the L-1, E-1/E-2, H-1B, O, and TN categories. Liz has an extensive amount of experience counseling financial institutions on immigration matters, including intracompany transfer petitions, North American Free Trade Agreement (NAFTA) applications, investor visa petitions, and employment-based preference petitions for multinational managers and executives. Liz also has experience counseling foreign physicians on J-1 visa waiver applications, including Conrad Waivers, as well as National Interest Waiver petitions, O-1 petitions, and labor certification cases. She is a member of the firm's Immigration Practice, which has been awarded prestigious National Tier 1 and Metropolitan Tier 1 rankings by Best Lawyers/U.S. News & World Report. 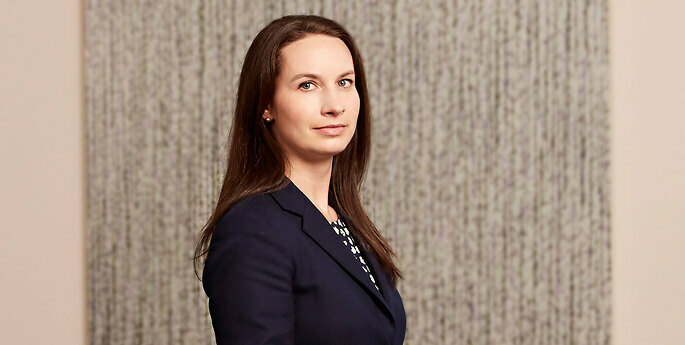 Liz exclusively practices U.S. law and is admitted to practice in New York. Liz contributed to the archived Hodgson Russ Canada/U.S. cross-border blog, Smarter Way to Cross. Her entries can be found on the Publications page.